The average temperature in San Diego in early February is between 63 and 67 degrees. But beyond the great weather, the annual Golf Industry Show is the largest education conference in the world of golf maintenance. This year’s GIS offers 89 fee-based seminars (38 of those seminars are new this year), 21 free sessions and new sessions for Spanish-speaking attendees. 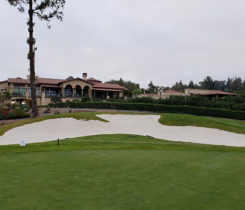 Likewise, the GIS trade show will feature more than 500 exhibitors showcasing the newest tools to overcome the many challenges of maintaining a golf course efficiently. This year’s GIS takes place Feb. 2-7 at the San Diego Convention Center. 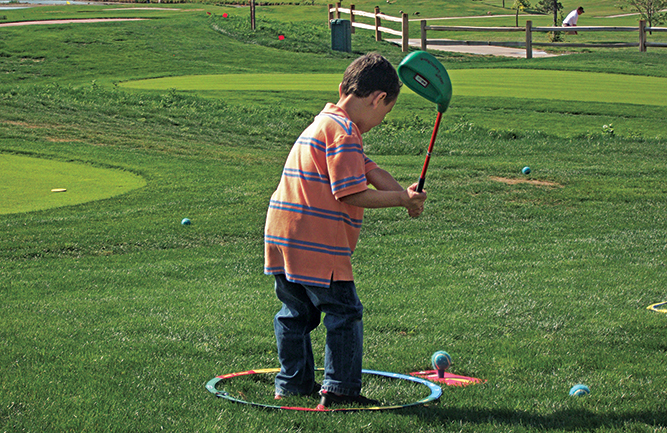 Golfdom will be there reporting on the event — follow along on Twitter and Facebook to keep up with the action. In the meantime, here are some of the products and events that we’re looking forward to seeing in San Diego. Bayer Environmental Science will showcase a host of activities, including panel discussions with industry leaders, educational opportunities and chances to win free innovations from the Bayer portfolio. Bayer will reveal the latest research on the benefits of the Stressgard portfolio products in two ways: a live panel discussion with superintendents as well as an interactive poster session to allow for continued dialogue and more in-depth technical discussions. Additionally, every qualified booth visitor will receive a key to try their luck at unlocking a box with premier solutions from the Bayer fungicide portfolio. Winners who successfully unlock the box can then choose between Signature XTRA Stressgard, Interface Stressgard or Exteris Stressgard fungicides. With a complete line of bunker rakes, greens mowers, aerators, utility vehicles and more, John Deere has the game of golf covered from the tee to the green. At this year’s GIS, the company again will have its E-Cut Hybrid and PrecisionCut fairway mowers on display, as well as an assortment of Gator utility vehicles and walking greens mowers. As for a sneak preview of what’s new at this year’s show, Deere offers the GPS PrecisionSprayer. The GPS PrecisionSprayer for the John Deere ProGator line provides professionals with invaluable insight into their applications. Designed with customers in mind, operators can now increase productivity and reduce overlap by utilizing AutoTrac. Other standout features include individual nozzle control, automated documentation of spray events, simplified operator inputs that reduce operator fatigue, the ability to designate ‘no spray zones’ and a remote diagnostic capability to ensure quick resolution to questions. Syngenta will highlight new turf products, including the fungicides Posterity and Secure Action, and Manuscript, an herbicide. Additionally, as part of the company’s “Condition. Perform. Recover.” platform, which focuses on turf health and superintendents’ personal wellness, attendees can participate in the Health in Action 5K fun run and receive free wellness checkups at the Mobile Wellness Unit. Health counseling for medical concerns and informational brochures discussing health and wellness topics also will be provided at no cost. Together, E-Z-Go, Cushman, Jacobsen and Textron Fleet Management comprise the brands of Textron Golf. 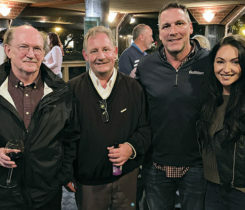 Backed by the resources of Textron, a Fortune 500 company known worldwide for its numerous brands, including Cessna and Beechcraft, Textron Golf says it utilizes innovative technology to create a more efficient, reliable product. Cushman’s new Hauler 800 ELiTE is the industry’s first lithium-powered utility vehicle for clubs and courses. Activated by Samsung SDI lithium technology, the Hauler 800 ELiTE offers a zero-maintenance battery with a five-year unlimited amp-hour battery warranty, consistent power and increased energy efficiency. 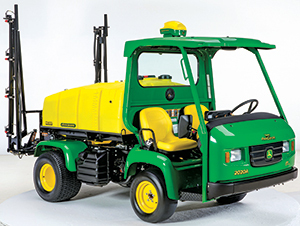 Textron Fleet Management Shield Plus is designed for professional turf equipment and utility vehicles. 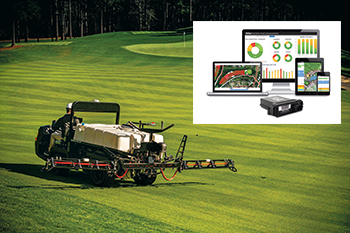 The system utilizes real-time data and enables superintendents to monitor usage, mileage, hours and idle time, and leverage work efficiency reports to maximize a crew’s productivity and workloads. A web-based solution, accessible from any device, Shield Plus utilizes geofencing and restricted speed zones to protect your course and crew. The new Cushman SprayTek XP offers the widest range of turf spray booms for increased productivity and superior precision. An advanced low-profile tank, designed with high pressure agitation, ensures a properly mixed product. A wide array of optional controls allows the SprayTek XP to easily fit any application and features automatic rate control, which adjusts flow for consistent coverage in varying speeds. Upgrades include a sophisticated GPS mapping system and individual nozzle control that reduces chemical consumption and increases accuracy. Of course, we want you to stop by our booth too! Come say hello to Seth, Ed, Abby, Clark, Karl and the rest of the Golfdom gang (and if you come by the booth and don’t see us, catch up with us after the show closes — we’ll most likely be at The Dubliner, 554 Fourth Ave.) Get to the booth early to nab a Golfdom hat, grab an extra copy of the 2019 Underdogs of Turf calendar and then apply for the 2019 Golfdom Summit. Speaking of the 2019 Golfdom Summit, there’s only one sure way to be on this year’s guest list: Place a winning bid on the Golden Ticket at the Environmental Institute for Golf’s silent auction. Visit the silent auction booth (#2916) in person or place a bid online at BiddingForGood.com/EIFG.